Millions of posts have been viewed, the numbers have been analysed, and the results are in! 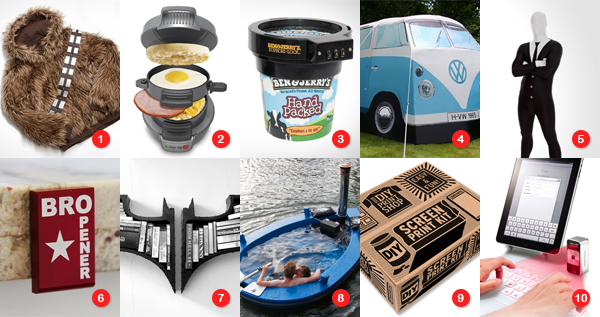 The 2013 top 10 contains such gems as the Chewbacca Reversible Fur Hoodie to keep you warm, the Ben & Jerry's Euphori-Lock to keep your ice cream safe and the HotTug Tug Boat for... I don't know what for!! !